Buying or selling a house in the Reno Nevada Area is a big decision, which is why it’s more important than ever that you choose the right real estate professional to be on your side. We’d love to work with you! Learn more about us and why we do what we do. Reno is an amazing area and we’re proud to call it home. Because I enjoy living and working here in Reno, Nevada so much, it makes it easy to help local families and investors buy and sell local properties. Knowing the local Reno Nevada real estate market like the back of our hand should be a given for any real estate professional you consider working with. Market knowledge can be the difference between you overpaying or getting a great deal, finding the right property or missing it, and buying a property fully informed or missing critical things during inspection that can cost you. 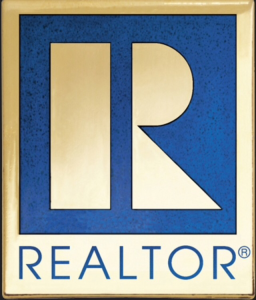 If you have any questions about real estate or if you are looking for a Real Estate Agent in Reno Nevada call me anytime at 775-525-0980 or Email me anytime. Buying or selling a house in the Reno, Nevada, area is a big decision, which is why it is important that you choose the right real estate professional to be on your side. That is why many people have chosen to work with Malcolm Shepherd Real Estate Agent in Reno, Nevada, when they decide to buy and sell a house in the Reno, Nevada, area. Malcolm Shepherd has been awarded with several local and nationally recognized certifications that are awarded to a select number of Realtors and Real Estate agents. Malcolm focuses on a better customer oriented experience and making sure you are having an amazing buying or selling experience, so you can focus on enjoying and living life. He will negotiate the best price for you and has the knowledge needed to help you navigate you through the entire process. Malcolm will help you sell your house fast and for the highest price while making the entire process effortless for you by using every technology available to market your house giving you a competitive edge while your house is on the market. If you are looking to buy a house, he will make sure you find the perfect house for you. You will have access to all houses on the market and even access to off-market deals. As a certified Property Manager in the Reno, Nevada, area, Malcolm Shepherd will manage your most valuable asset and maximize your investment. Looking for the top Real Estate Agent in Reno, Nevada, to sell your house fast in the Reno, Nevada? Looking to buy a house in the Reno, Nevada, area? Do you need a highly qualified and highly recommended Property manager to manage your investment? Contact Malcolm Shepherd today. Malcolm has helped many people buy, sell and invest in real estate and would like to help you too.